Recently, I've been talking with Norbert Varga from Digital Arrow, developer of the sci-fi racing platformer inMomentum, and the fantasy RPG Dilogus: The Winds of War, which is currently under development. In part one of this two part interview, we talk about how Digital Arrow develops games, what kind of impact inMomentum has had on them, and touch on Dilogus: The Winds of War. In part two, which is also live, we go deeper into Dilogus' current state, Digital Arrow's experiences with trying to find a Linux friendly publisher, and the value of cross platform development. Can you tell us a little bit about Digital Arrow? How does a typical Digital Arrow day unfold? Digital Arrow is an indie game development company that focuses on innovative gameplay. That could be seen with inMomentum. It's part of our design for our Dilogus - The Winds of War product and will continuously be part of us throughout the future. Now, it's obvious that innovation is an important aspect of game development, but we're fusing it heavily into our games. We're not aiming to make the next big FPS or create a typical "Sandbox RPG". If it has been done, don't do it OR try to do it better. While Dilogus is indeed a semi-sandbox RPG, we're adding things to the gameplay that aren't your everyday things in the genre. A typical day usually starts with a cup of tea or coffee (depending on who drinks what), and a meeting. We employ a combination of Agile Waterfall methodology, as well as something we call, a burning rope design. Most of the work is spread out during throughout the day, with a lunch break at around 1 PM each day. Occasionally, we also do so called "electricity breaks", when we turn off all the PC's and tech, take notebooks and pens and throw up a 1-2 hour debate/brainstorming session. It's wonderful what these sessions can do when you're not distracted by your computer. Computer free breaks sound immensely relaxing. Can you elaborate on your "burning rope" design model, and how it and an agile waterfall approach help you move through a game's design and development phases? They are indeed, very relaxing and very effective when coming down to brainstorming. Many people are able to focus much more this way. The burning rope is something that I use when working with flexible budgets or while exploring a design that is still flexible and can change. Most of the time, game design is based on multiple principles such as the fun aspect or gameplay, but there’s also the financial side - to be a game that can fit into a certain budget, but still be a good game. A burning rope design method aims to make the conceptualization of a project more flexible, more effective, while keeping the scope and the budget at bay. Burning rope does exactly what its name says. Now the way this works with Agile Waterfall, is that he rope is the budget, and the concept is the fire. What this method ensures, is that we do things in pinpointed milestones and short sprints (as in Agile), but have the whole “rope” and its course of burning pinpointed entirely beforehand (as in Waterfall). 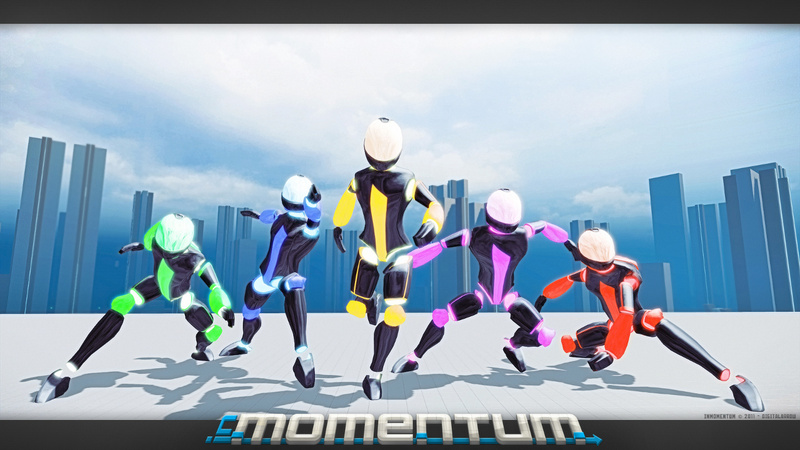 Last year saw the release of Digital Arrow's first title, the sci-fi themed first person racing platformer, inMomentum. What kind of impact has releasing inMomentum had on you and the way you work? Releasing inMomentum was our primary objective once we established our team. It was a product that we wanted to see through from start to finish before we go into any other, bigger projects. We wanted to see through a release of a game, improve our development cycles, polish our communication within the company (both in-person and with people that work off-board) and so on. In general, the release of inMomentum had a very positive impact on Digital Arrow. How did you find that experience of developing inMomentum? Were there any significant hurdles you encountered? Likewise, were there any pleasant surprises? Developing inMomentum was a great experience for multiple reasons. We had a few smaller hurdles to overcome, such as transferring from UDK to Unreal Engine 3. We’ve made a mistake of not focusing on multiplayer from the very start, but that has been entirely remedied in our recent patch to the game which entirely reworks the multiplayer system. A pleasant part of working on inMomentum was working with Epic’s Unreal Engine 3. It has proven to be quite rewarding due its vast toolset and great support that we’ve received. What kind of reception do you feel inMomentum has had? Are we likely to see more inMomentum in the future? Well, if one looks at inMomentum, it’s not hard to tell that it’s not a game for everyone. We’re fully aware of that. 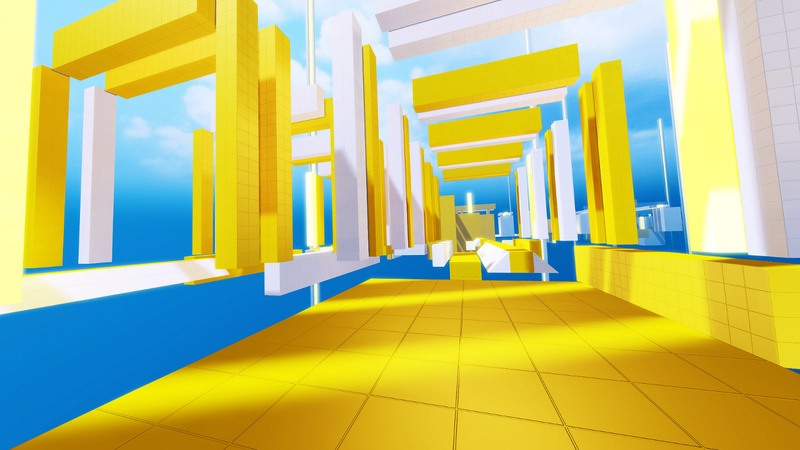 Trickjumping is a very hard nut to crack for people that are not fans of a genre. A shooter can be picked up by an RPG player or vice versa, but people who have never played trickjumping can have a hard time to start playing these type of games. 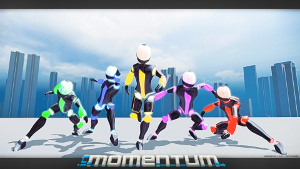 We did manage to pull quite a bit of players into the genre by making inMomentum more accessible for beginners with various difficulties and with how the actual game works - reducing the amount of time needed to actually understand the game, but still leaving a fair bit of space to master it. The in-progress title Dilogus: Winds Of War is regarded to be an ambitious project for an independent developer. How did the project first come about, and how has that concept evolved over time? Being independent brings along the fact that we have to fund our projects ourselves. That is, obviously not an easy thing to accomplish, especially in the case of a bigger game such as Dilogus - The Winds of War. We currently have no publisher or investor backing. The project was originally a mod back in 2008, after which we decided to make it as a standalone game. 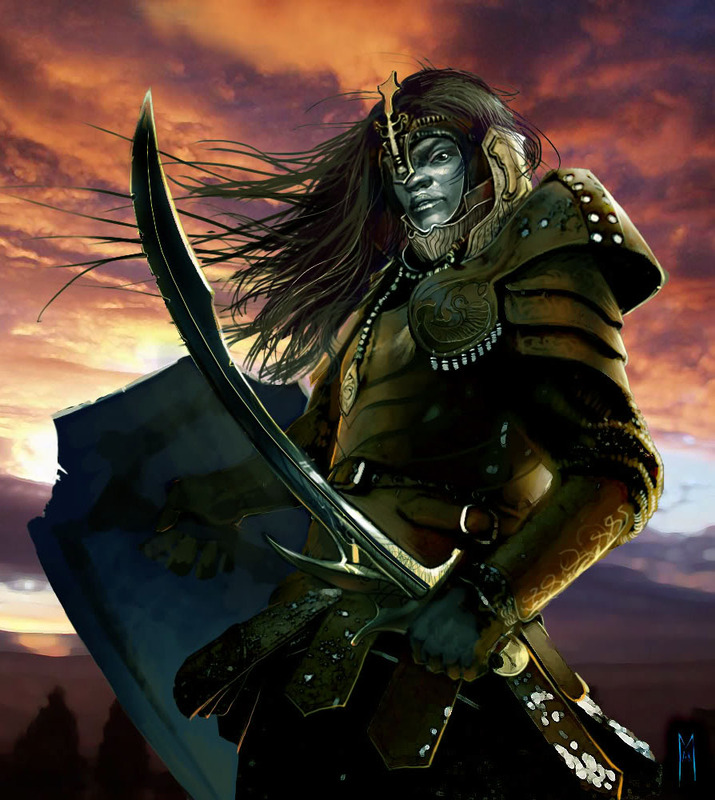 The original concept aimed to tell a story within the game world at a different time - before the war that ravaged up the lands. The evolved, current concept of the game however, plays about 1200 years later, past the war itself when the landscape, cultures, technology and in general almost everything in the world have changed significantly. What can you tell us about the setting or story of Dilogus? The setting behind Dilogus - The Winds of War consists of multiple realms, planets, massive continents, empires, kingdoms and gatherings of tribes. While we focus only on a small segment of the universe, the game-world that The Winds of War plays in will be quite massive. Dilogus is not traditional fantasy. It is a dark and grungy place and should not be mistaken with some of those typical, lush, beautiful fantasy games. Dilogus is very dark in fact, in the sense of atmosphere, way of life and just generally everything that's in there. The game plays after multiple hundred years of war. No-one trusts anyone. Most of the things are ruined, including the land itself under the feet of the people. Think about a post apocalyptic ambiance, mix in some thrill, fantasy and bit of sci-fi here and there and you are close. Everything in the world reflects this. What types of gameplay is Dilogus likely to feature? The game will feature a single player campaign across a vast world creating an adventure experience. Featuring Co-Operative play allows players to participate in this experience with their friends in groups of up to four players. With the storyline in Dilogus - Winds of War will be both engaging and vast, allowing for multiple choices and a variety of solutions to most given elements of it - but when the player decides, he can take on optional quests that arise during his journey. While branching choices will be available in singlepalyer, the true adventure experience opens itself up in the co-operative multiplayer, where the mixture of various characters and their features blend together. As I’ve mentioned previously, we’re putting a lot of work on bringing new elements to the RPG experience, which will partially revolve around how the co-op and the questing actually works. Can you give us an example of innovative gameplay mechnanics that Dilogus might employ? I can’t speak too much about this, but one example is how our co-op works. Each character adds new elements to the story, and the makeup of the player group effects how elements of the game/story unfold. As to exactly how this works, will remain within Digital Arrow for now. inMomentum might be hard for people that are new to it. While we did work a lot on making it more accessible for people outside of the trickjumping genre, not everyone has managed to grasp it fast and easy. We haven’t, however, received too many critiques regarding the difficulty, due the multiple difficulty settings that the game allows. In fact, there were also people who complained about it being too easy. sakuramboo: Will Dilogus allow for mods? Certainly. It’s part of our community plan to support modding. Read on for Part two, where we go deeper into Dilogus' current state, Digital Arrow's experiences with trying to find a Linux friendly publisher, and the value of cross platform development. If you'd like to find out more about about Digital Arrow, you can find information on the company and its games on the Digital Arrow website. InMomentum is currently available on Steam for Windows, and Dilogus will be available for Windows and Linux PCs when it is ready. 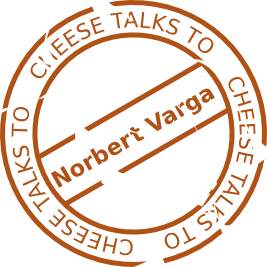 This interview was first published on the 22nd of May 2012.